Foo Fighters have unveiled a brand new single called The Line. 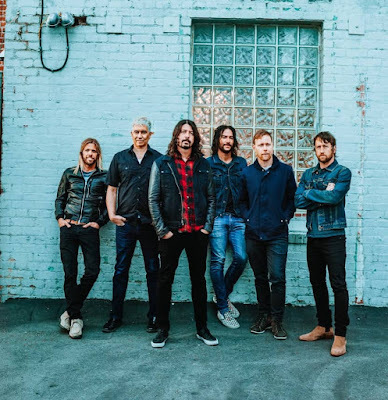 This is a very energetic cut, pairing a signature Foo Fighters propulsive melody with an urgent heartfelt lyric and rousing chorus described by composer Dave Grohl as a search for hope in this day and age where you feel as if you’re fighting for your life with every passing moment, and everything is on the line. Stream it below! The Line is taken from their upcoming 9th studio album, Concrete and Gold, and has been made available as an instant grat with pre-orders placed in advance of the new record’s September 15th release on Columbia Records. It follows their previous single The Sky Is A Neighborhood, visually realized as a Grohl-directed kaleidoscopic sci-fi mini-epic as massive as the slow burning rock anthem that gave it life—one of the most striking entries of the Foo Fighters’ video canon.